Satapada is located at a distance of nearly 50 kilometres from Puri. Satapada is located on the south-eastern part of the famous Chilika lagoon. Satapada means seven villages, so the name Satapada means a group of seven villages.he main attraction at Satapada is boating and dolphin watch. Satapada also provide the opportunity for viewing a memorable sunrise and sunset as this is where the Chilika lagoon pours into the Bay of Bengal. 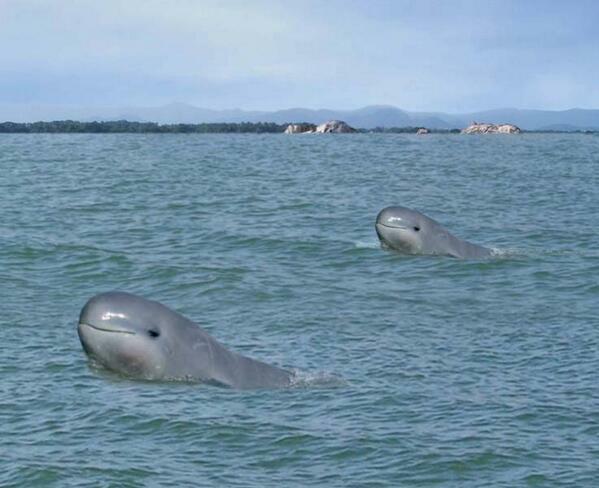 The number of Irrawaddy dolphins at Satapada is estimated to be more than 100. Irrawaddy dolphins have a large melon and a blunt, rounded head with an indistinct beak. The dorsal fin, located about two-thirds along the back, is short, blunt and triangular. The flippers are long and broad. It is lightly coloured all over, but slightly white on the underside than the back. Adult weight exceeds 130kg and length is 2.3m at full maturity.It is a small Island on Chilika at the mouth of the lagoon. This island is named after the famous bird ‘Rajahansa’. A 1 ½ hour boat journey across the Chilika lake from Satapada takes visitors to Rajahansa Island.Nalaban Bird Sanctuary, which falls under the Chilika lagoon, is very close to Satapada. It takes around four hours by a motor boat from Satapada to reach Nalaban. More than 4.5 lakh migratory birds belonging to 101 species from as far as Siberia, Iran, Iraq, Afghanistan and the Himalayas have arrived at the Chilika Lake in Orissa for their winter. Around 269,000 migratory birds were sighted in the 15.53 sq km-Nalaban bird sanctuary – an island in the lake.Satapada is also famous for Sea Mouth Island where Chilika lake meets the Bay of Bengal.